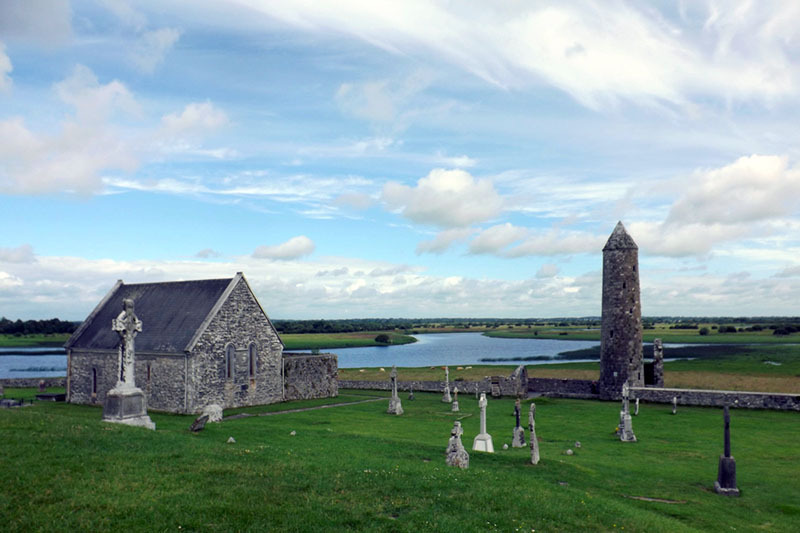 At Clonmacnoise, on the River Shannon, students visited the ruins of a medieval monastery. Participants meet with author Lia Mills in Dublin, having read her novel in the weeks before heading to Ireland. Participants stayed here in the village of Westport, before heading to the town of Galway, and then onto Dublin. 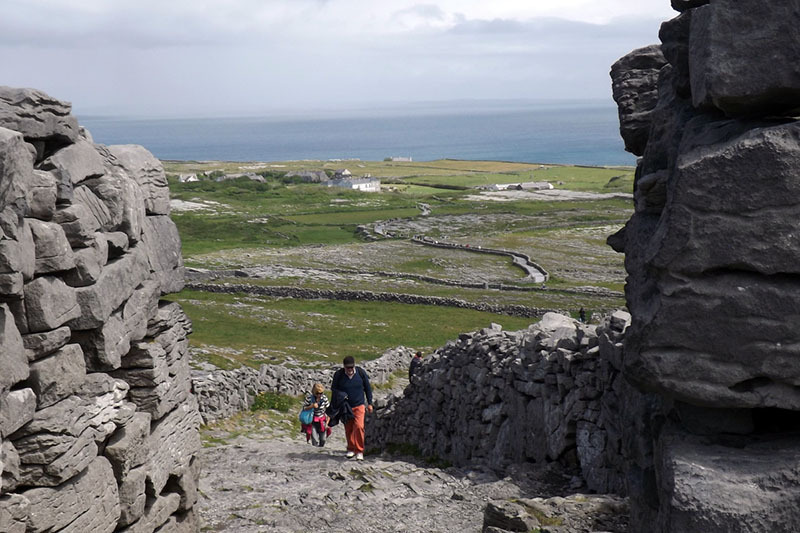 One of students' highlights was visiting the neolithic fort Dún Aonghasa on Inis Mór of the Aran Islands. 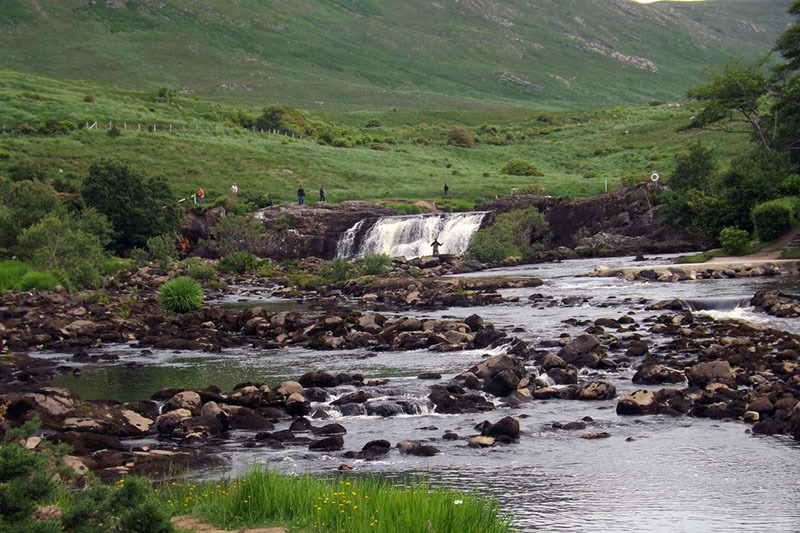 Between Westport and Galway, students stop to take in the landscape at Aasleagh Falls. 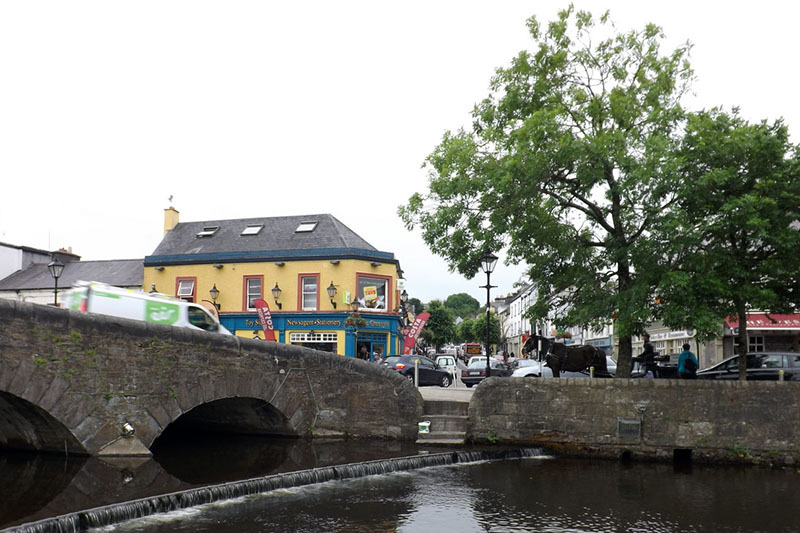 Where better to stop for a rest than Ireland's oldest pub, Sean's Bar? 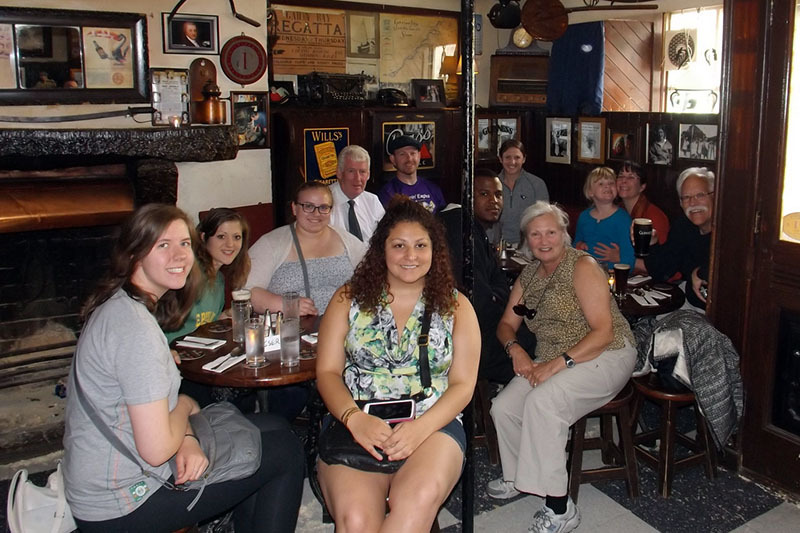 This June, students were able to call Ireland their home for a time as they studied abroad with UNO’s Irish Literature and History program, coordinated by Professor Hugh Reilly and co-taught by Dr. Lisabeth Buchelt and Instructor Molly Loesche. This is the third summer that the UNO Irish Literature and History program took students and community members to Ireland. There, they engaged with the cultural, historical, and geographical landscape to better contextualize the land’s history and how that has been communicated through literature, art, and politics. 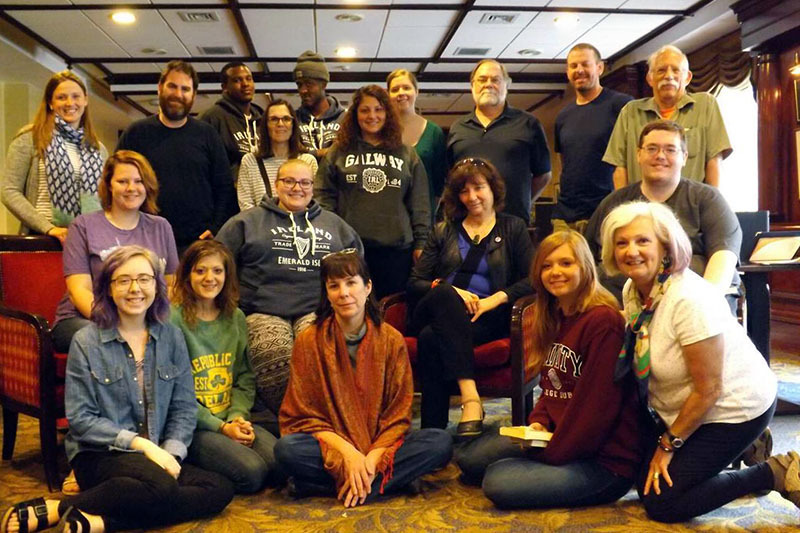 Highlights of the program this past summer included hiking Croagh Patrick, traveling to Dún Aonghasa on Inis Mór of the Aran Islands, and meeting with author Lia Mills, whose novel, Fallen, students had read in their course. Students experienced life in a village, a small town, and a large metropolitan city; they traveled through the richness of the west and concluded in Ireland’s capital city; and they did all this in a small group with whom they had shared three weeks of intellectual exchange and discovery. The program runs every other year and will next run in the first summer session of 2018. Want to get started on your own path to study abroad? UNO Education Abroad wants to help! Study abroad is an attainable goal for all types of students and there are endless opportunities to find something that works for you. Get in touch today to speak with our awesome peer advisors and learn more about education abroad options and funding opportunities! Shoot us an email at unostudyabroad@unomaha.edu. Check out our social media to learn about events and opportunities and see what #MavsAbroad are up to all over the world!